Harold H. Bloomfield; Deepak Chopra M.D. This fascinating dialogue between Harold H. Bloomfield, M.D., and Deepak Chopra, M.d., deal with the nature of mental turbulence and how to approach it from a mind/body/spirit perspective. Dr. Chopra reflects on the fact that there is obviously something wrong with the emotional and spiritual health of society, while Dr. Bloomfield discusses anxiety, depression, and other mental ailments that result from emotional toxicity. WAYNE DYER Dr. Wayne W. Dyer, affectionately called the "father of motivation" by his fans, is one of the most widely known and respected people in the field of self-empowerment. He became a well-known author with his bestselling book, Your Erroneous Zones, and has gone on to write many other self-help classics. Despite his childhood spent in orphanages and foster homes, Dr. Dyer, who has a doctorate in counseling psychotherapy, has overcome many obstacles to make his dreams come true. Today he spends much of his time showing others how to do the same. When he's not traveling the globe delivering his uplifting message, Wayne is writing from his home in Maui, Hawaii. DEEPAK CHOPRA Deepak Chopra has written more than twenty-five books, which have been translated into thirty-five languages. He is also the author of more than one hundred audio- and videotape series, including five critically acclaimed programs on public television. In 1999 Time magazine selected Dr. Chopra as one of the Top 100 Icons and Heroes of the Century, describing him as "the poet-prophet of alternative medicine." 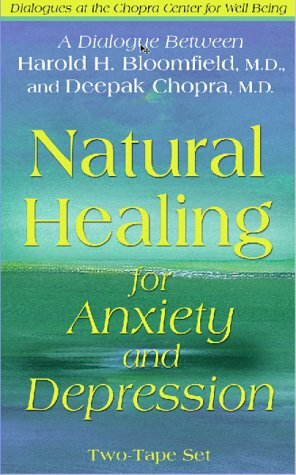 Dr. Chopra currently serves as CEO and founder of The Chopra Center for Well Being in La Jolla, California.